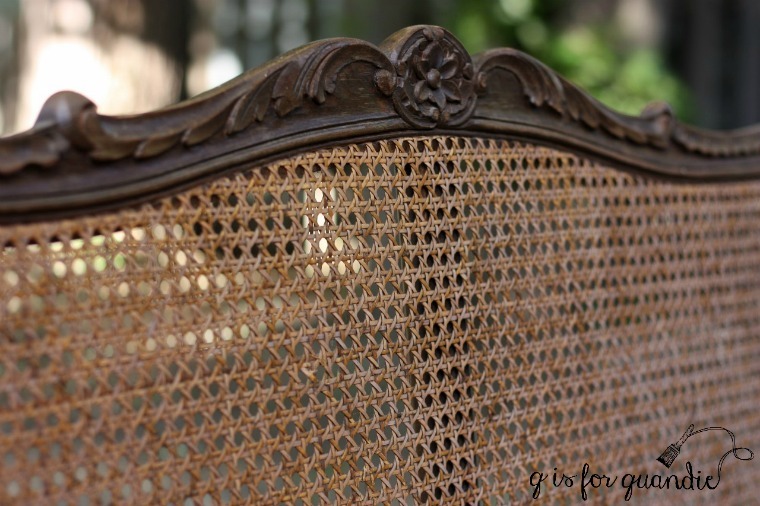 I gave you a little sneak peek at this cane back bench when I posted about my current mission, making over our master bedroom. I purchased this bench from my friend Lisa. If you think I paint a lot of furniture, well, I’ve got nothing on Lisa! She often posts photos on Facebook of pieces she’s brought home to work her magic on. When she posted a pic of this bench I knew I had to have it. I asked her if she’d consider selling it to me ‘as is’, even though I knew her plan was to paint it and add an upholstered seat. Luckily she said yes! You see, I knew I wanted a bench to place at the foot of my bed, but I wasn’t sure that I wanted it to be painted. You might be surprised to learn this, but I prefer a mix of painted and unpainted pieces in a room. I like to have some warm wood tones mixed in with all of the painted pieces. In the Q Branch it’s my desk top that remains wood. In the living room it’s my factory cart coffee table. Up until now it has been the bed in my bedroom. 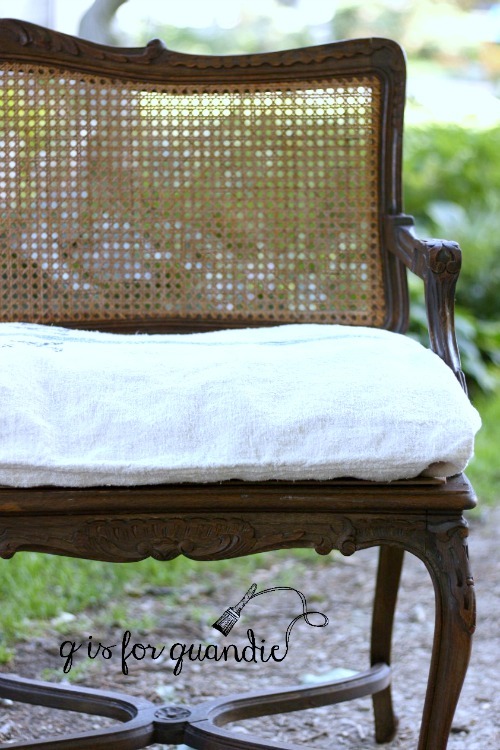 But now I’m thinking it will be this bench (I plan to paint my new headboard, I’ll be sharing that soon). So, keeping all of that in mind, here’s what I did with the bench. First I cut out the bad portions of the cane with a utility knife. 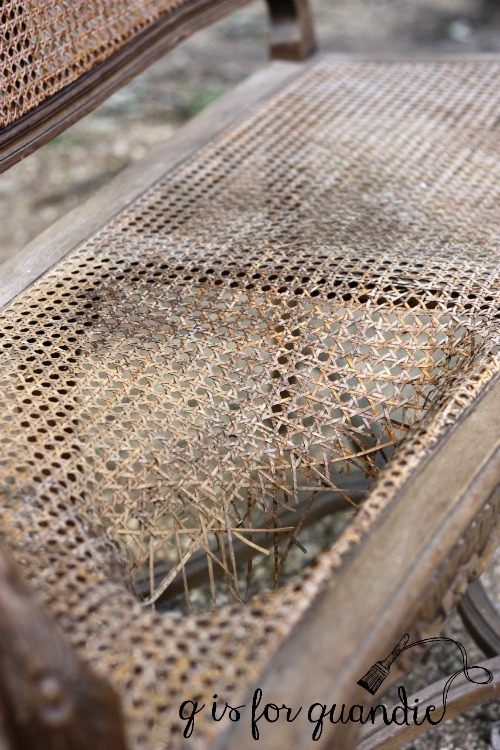 You don’t want to see those raw edges hanging down under the bench right? I suppose I could have removed all of the cane from the seat, but why bother? This was much quicker. 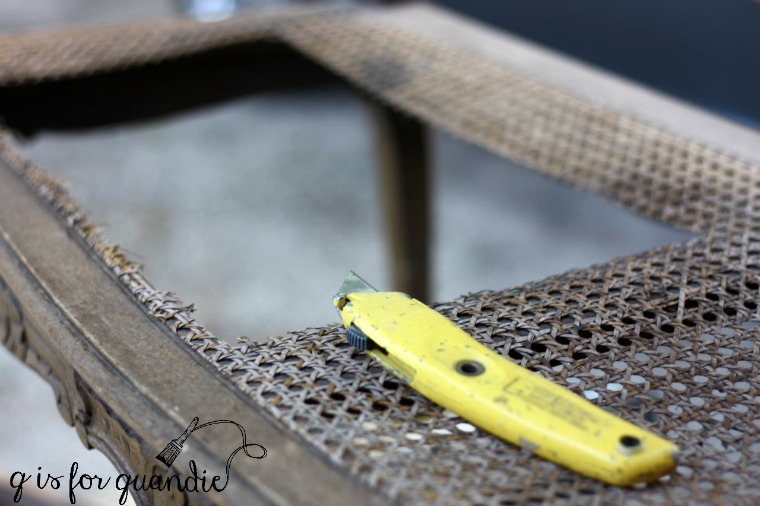 Next I asked Ken to cut a piece of hardboard to fit the seat. Then I used some Murphy’s Oil Soap and hot water and gave the bench a really thorough cleaning. Once the bench was dry, I decided to try freshening up the finish with some Miss Mustard Seed hemp oil. I’ll be honest, once I’d made the decision not to paint I didn’t even consider stripping and re-finishing. 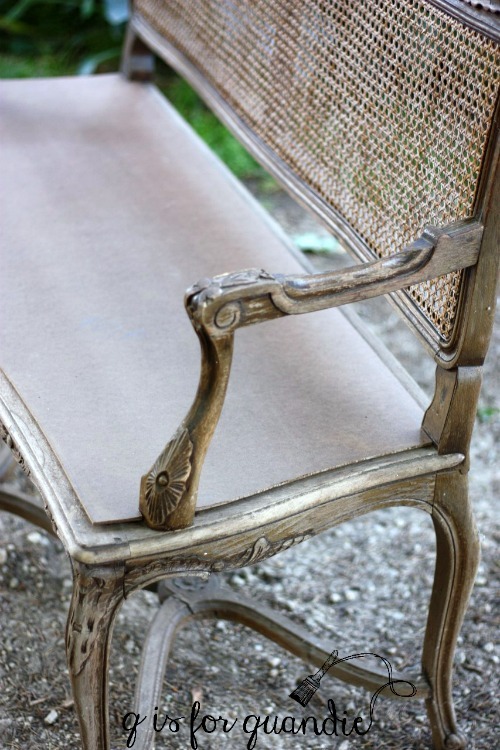 That would have been a far too putzy job with all of the detail on this bench. Plus, I didn’t know how to work around the cane. In addition, I really didn’t want a brand new looking finish. 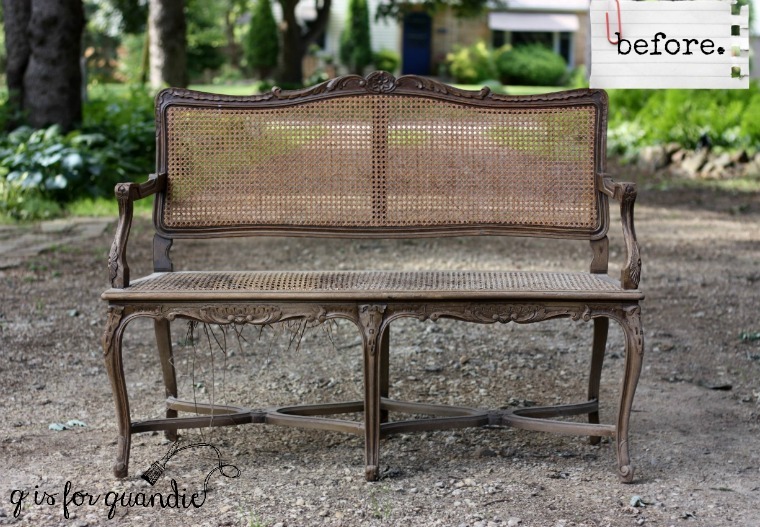 I wanted the bench to look old and worn. That’s my favorite look after all. But I did want to clean it up some. So, I poured a little hemp oil into my measuring cup and applied it with an inexpensive chip brush that I use exclusively for hemp oil. I let the oil saturate the surface and then wiped away the excess with a rag. Here’s a semi-presentable photo of how much better the wood looks with a little hemp oil. It darkened up quite a bit, and the oil adds a bit of shine. You can sort of see how very thirsty this wood was! Now, had I been planning to sell this bench, I would have used a sturdier piece of plywood for the seat. Then I would have added some foam and batting and then upholstered it by stapling some fabric over it. Finally I would have used screws to attach the new seat. But since I’m keeping this, I’m cheating a little. First of all, I know we’re never going to sit on this bench. It will be at the foot of our bed and the most weight it will need to hold is a pile of clothes fresh from the laundry. After splurging on an authentic European grain sack that I ordered from Etsy, I stuffed it with a couple of pillow forms. Then I placed it on the bench and realized that it made the perfect slouchy cushion as is without requiring any sewing, cutting or stapling. It completely covers up the hardboard, so I decided to just go with it. By the way, how amazing does that wood look now? 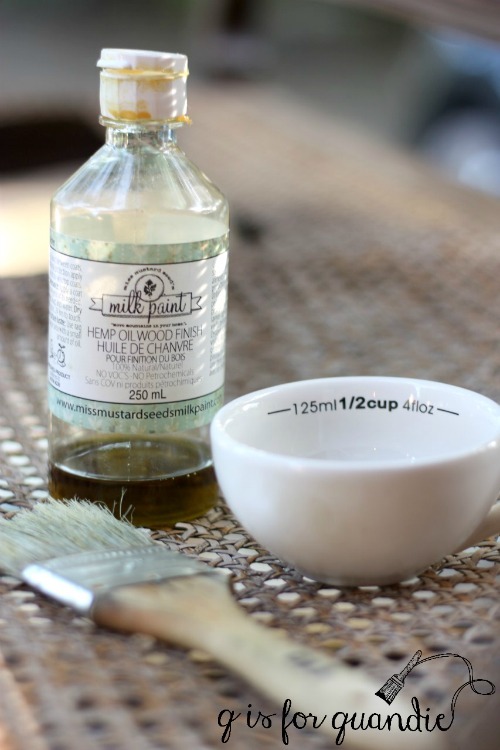 I knew that you could refresh wood with hemp oil like this, but I am still wondering how long it looks this good. How fast does it dry out again? Well, we’re going to find out. Since I’m keeping this bench I’ll be sure to report back with some updates down the road. Now I know that some of you might be thinking ‘dang, that bench would look so amazing painted with some nice, chippy milk paint’, and I’m not going to disagree with you on that. It definitely would. But for my purposes right now I think it will work better in my room in its original wood. Next the isle of skye. Well honey, that’s going to look pretty fab. Good job! She is a beauty Linda. I definitely need to invest in some hemp oil. Nice grain sack too. I can already see your room coming together. Cannot wait until the reveal. I agree, you need a mix. This will be the perfect anchor for the end of the bed. Lovely! I can’t wait to see your whole bedroom. It no longer has that ‘spa atmosphere’, but so far I am loving the change. I find I have to hemp oil my raw wood pieces in about 6 months. I just do it as part of my spring or fall cleaning . However it is important to buff it in, and not leave it ,after letting it soak in. Love it. Did you treat the canning also? Nope, I didn’t. I wasn’t sure how the caning would react to the hemp oil, so aside from cleaning it (by wiping it down with my cleaning solution of Murphy’s Oil Soap and water) I just left it alone. It looks great Linda, I love the wood too!! I agree to leave it wood for awhile ( or forever?) and then paint one day if you want! It is a great bench. I might have painted the wood (but never the caning) but seeing the wood with the grain sack, I have to say it’s perfect as is. Actually, I tend to be a fan of painted caning. I have it on my dining room chairs, and also the desk chair in my Q Branch. 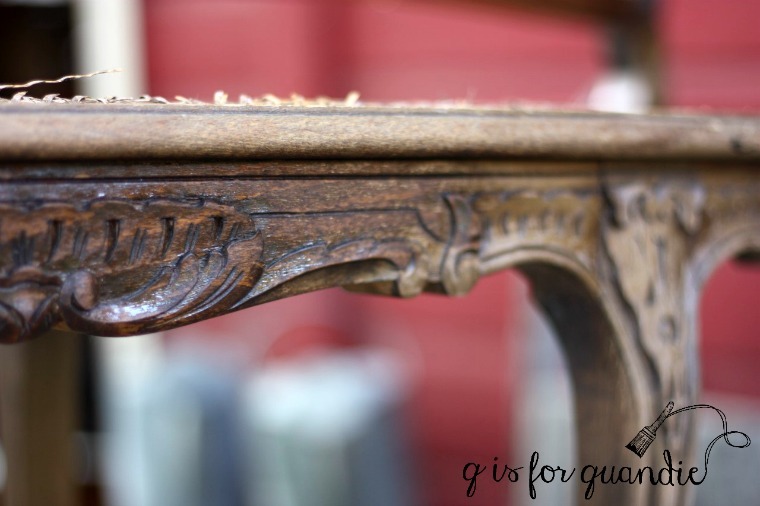 I especially love the way the milk paint on my Q Branch chair has worn away over time (and lots of use, since this is the chair I sit in while writing the blog) giving it a fabulously worn appearance! Stay tuned, they’ll be coming up soon! It looks great. I agree, it can always be painted later if you change you mind. I like rooms with that mix of painted and natural wood too. Looking forward to seeing the bench in the finished bedroom. Restoring the original finish was the way to go! I too like a mix of painted and wood tones in my rooms. One thing I would have done differently is the seat platform. I have a bench at the end of my bed and while its used mostly to hold the pillows off my bed, sometimes I sit there to put on my shoes. I like the grain sack but I’d probably make a more structured cushion so it would be more comfortable when I do sit on it! We don’t wear shoes in the house. Is that a Minnesotan thing? We put our shoes on right next to the back door and can sit on the Belgian bench for that. But if I were selling this bench, I’d definitely go with a more structured seat/cushion arrangement so that it would be more functional for the future owner. I love what you did with the seat! 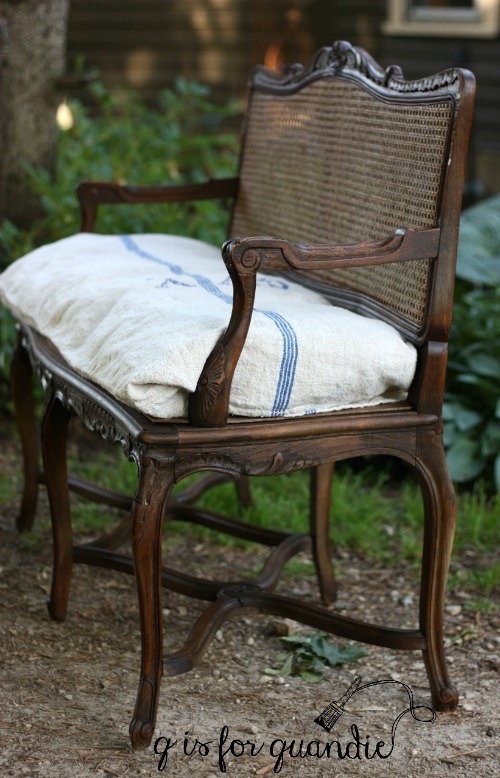 I see a lot of chairs with broken caning and would never think to just take it off and put something new there! I know I’m late to the party but just had to tell you how great that bench turned out. Love the rich color of the oiled wood. What a find. Can’t wait to see your bedroom vision come to life. It’s always good to be fashionably late 😉 Thanks Andrea! I love it. 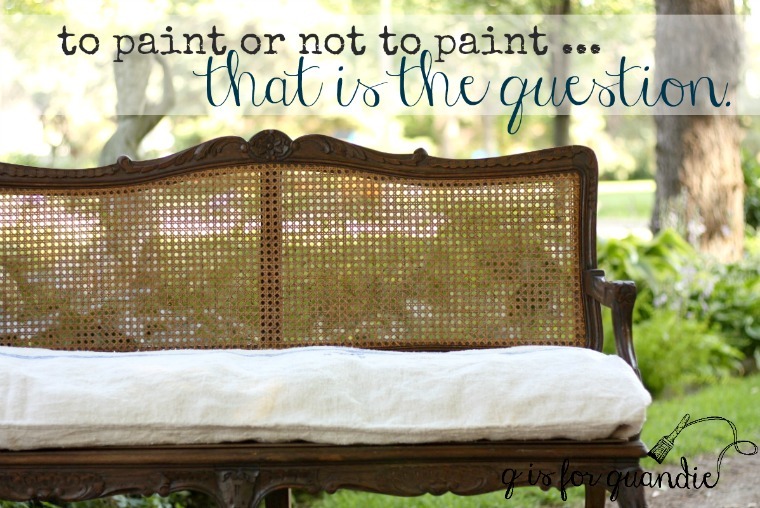 I also like a blend of painted furniture and wood and I find it hard to paint some furniture. Good recovery of the bottom. 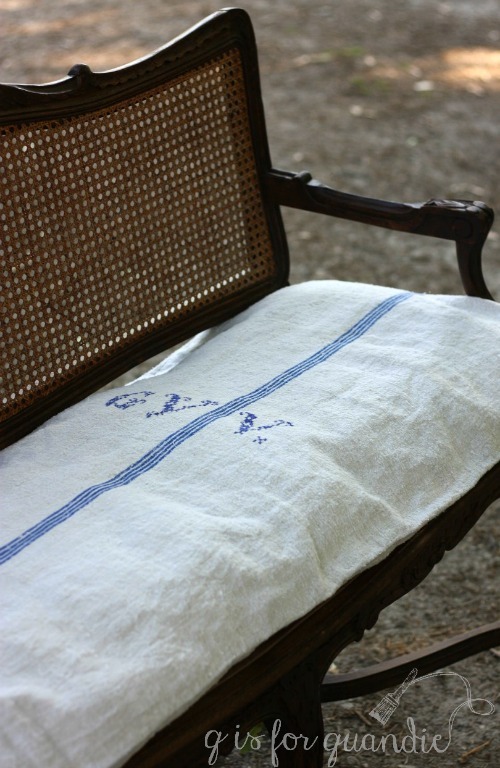 This is just lovely with the grain sack cushion. Fabulous, ah, yeah! I just fail in love with this project. Excellent results.